We continue to make significant progress on our OG2 launch operations. All 11 OG2 satellites have been turned on and are successfully processing customer message traffic. We are also continuing to conduct propulsion maneuvers to position the satellites into the proper orbits. The 11 satellites will be separated into three separate drifting planes. One plane will be raised to a 750km orbit, another will be lowered to a 605km orbit, and the final plane will remain at the 620km insertion orbit. 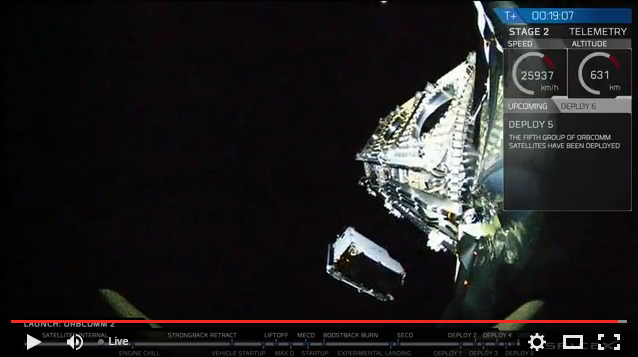 The 620km plane of satellites is already in the proper drift orbit. We expect the lower altitude plane to be in its final drift orbit in mid-February and the higher altitude plane in mid-March.